This year’s Winter Break begins this Monday, December 23rd and runs through Friday, January 3rd. School will resume on Monday, January 6th. Please note that this week’s blog post is the last one in 2013. There will be no blog updates during the break. The blog will resume the week of January 6th. Enjoy a wonderful and safe holiday season and a very Happy New Year! Olmsted Falls Board President Jim Weisbarth and Superintendent Dr. Jim Lloyd help recognize outgoing Board Members Rhonda McCrone and Michelle Theriot for their many years of dedicated service. 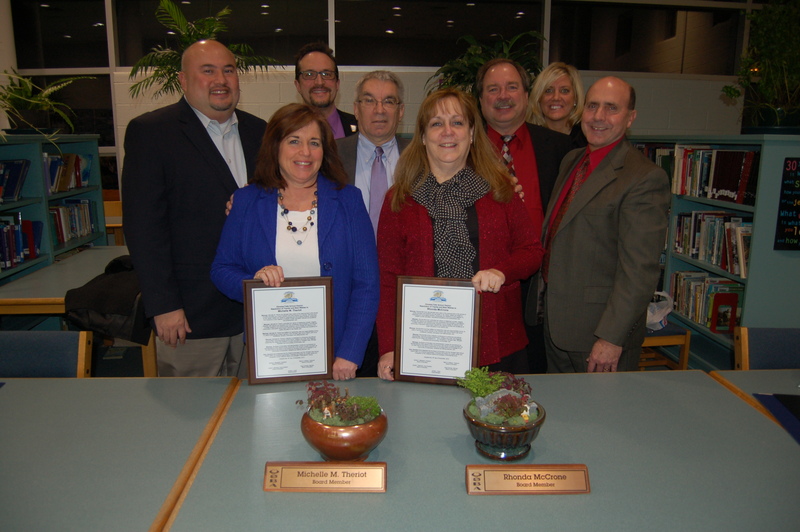 Board of Education members Rhonda McCrone and Michelle Theriot were recognized at the December Board of Education meeting, held earlier this week, for their many years of public service on the Olmsted Falls Board of Education. Both of these long-time Board of Education members are retiring from their duties following many years of dedicated service to the students, staff and residents of the Olmsted Falls School District. Mrs. McCrone has served as a Board member for the past 16 years, including service as Board of Education Vice President from 2001 to 2003 and Board of Education President from 2004 to 2006.Ms. Theriot has served as a Board member for the past 21 years, including service as Board of Education Vice President from 1997 to 1999. Both women’s community service has been characterized by the highest level of ethics, integrity, and passion for public education. Both parents of Bulldog alumni, and Mrs. Theriot a Bulldog alumnus herself, these two dedicated public servants have truly had a lasting and positive impact on the quality of educational opportunities in our schools and community. 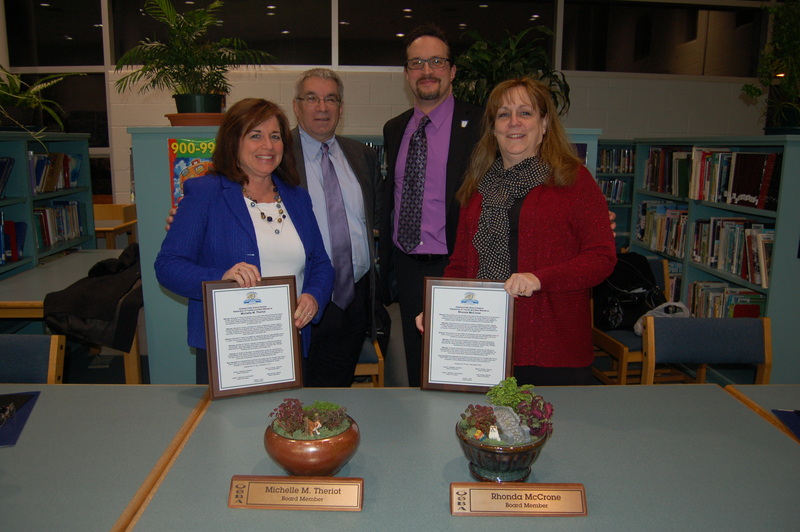 A resolution of public thanks and recognition was passed by fellow Board of Education members Jim Weisbarth, Joe Bertrand and Greg Surtman at the Board’s monthly meeting this December, which was Mrs. McCrone’s and Ms. Theriot’s final meeting. Their final meeting was also attended by district administrators, faculty and staff on hand to personally thank these two women for their tireless efforts on behalf of the Olmsted Falls School District. Pictured at right are Ms. Theriot and Mrs. McCrone with (from L to R) Board Member Greg Surtman, Superintendent Dr. Jim lloyd, Board President Jim Weisbarth, Board Vice President Joe Bertrand, Assistant Superintendent Kelli Cogan and Director of Business Affairs Tim Atkinson. On behalf of the Board, administration, staff and students of Olmsted Falls Schools, we would like to again extend our sincere appreciation to Mrs. McCrone and Ms. Theriot for their service and dedication to our District! If you see either of them around town, please join us in extending thanks to these two outstanding women! The Olmsted Falls Board of Education, at its monthly meeting December 18th, unanimously took the first step to again put a 1.8 mill bond issue for Olmsted Falls High School back on the election ballot this May. The bond issue, dedicated to addressing overcrowding, safety and security at Olmsted Falls High School through building renovation and expansion, was originally defeated this past November with 2,904 in favor of the bond issue and 3,438 against. (To view a breakdown of levy results by precinct, please click here.) The defeat of the issue does not eliminate the need to address these critical issues at the high school. Therefore, the District plans to continue its efforts to educate the community about the need. Passage of the resolution of necessity on December 18th was the first legislative step required to place the bond issue back on the ballot in May 2014. The Board will next vote to pass a resolution to proceed at its January meeting and that will be the final piece of legislation required to place the issue on the May ballot. Any parents or residents with questions about the 1.8 mill bond issue for Olmsted Falls High School are encouraged to contact the Board of Education office at 427-6000. The OFHS Golden Expressions vocal jazz ensemble was joined by a 5-piece saxophone group for a special performance this week held in the Social Hall of Columbia Park. 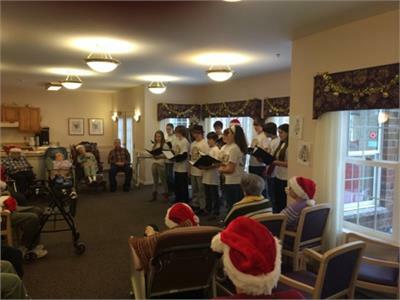 More than 20 residents came out to hear these talented students perform a variety of holiday music during an afternoon performance. Special thanks to Choir Director Judy Crandall, who coordinated the special visit and to all of these outstanding students for volunteering their time for this after school performance. The guests truly enjoyed the high-quality performance, and look forward to an encore next holiday season. OFHS students recently competed in the Ohio Robotics Educators VEX Challenge at the TriC Advanced Technology Training Center. The competition consisted of robots made from VEX components. Two alliances – one “red” and one “blue” – composed of two teams each, competed in matches consisting of a 15- second autonomous period followed by a 1 minute 45 second driver control play. The teams had to transport and release balls into certain locations at various levels on the field. 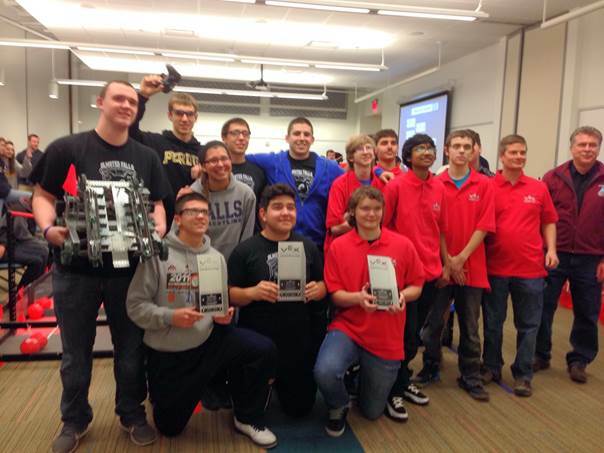 Two teams successfully completed and ended with first place honors. Team 5658A consisted of Moises Garcia Ponce, David Graham and Matthew Sheneman. Team 5658B’s members were Lucas Schilling, Brian Dougher, Nick Fritz and Chase Zivcsak. The two will join Team 5658D, which won the Marion Competition in October, to compete at the Ohio State competition in February. To view a video of the recent competition, click HERE. For more information about VEX competition, click HERE. 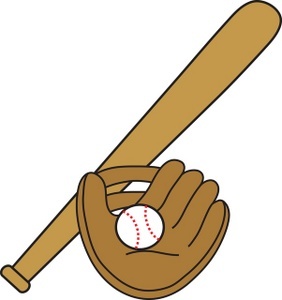 NOT TOO LATE FOR OFHS DECEMBER 21ST & 23RD BASEBALL HOLIDAY SKILLS CAMP – THIS WEEKEND! Missed the Dec. 13 deadline to register your child for the OFHS Baseball Holiday Skills Camp? Don’t fret. Late registration and walk ups to the camps are permitted. Those in grades 1-3 have the camp on December 21st and grades 4-8, December 23rd. Both camps run from noon to 3:30 p.m. at the high school. To register, email Coach Dan Largent at dlargent@ofcs.net or call him at the school, 440-427-6320. To view a camp workout, click HERE. The OFCS Helping Hands held a holiday party this month for students and people of all ages and ability levels. A live DJ played music for dinner and then the partygoers danced the night away in the OFMS Cafetorium. They also enjoyed crafts and games. It was a great way to start the holiday season. To view a photo gallery of the event, click HERE. To link to Helping Hands website that has more photos, click HERE. REMINDER: HONEYBAKED HAM PICK UP IS THIS MONDAY, DECEMBER 23RD! 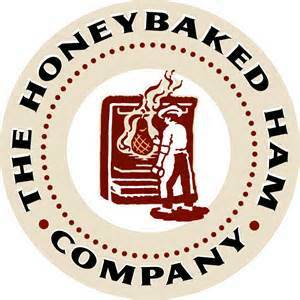 Orders for the OFHS Swim & Dive Team’s HoneyBaked Ham sale MUST BE picked up between 5-7 p.m. Monday, December 23rd at the high school’s band entrance. The team appreciates your order and timely pick up between that time frame. Testing of the District’s new automated communications system got underway this week as a series of test phone calls, emails and text messages were sent to all Bulldog staff members. The next phase of testing will involve automated communications for all Bulldog parents. Following the winter break, please watch for information via email from District Communications Director Kim Petrina regarding the new Power Announcement system. Information regarding the planned series of test messages to parents will be provided, along with instructions on how parents can adjust preferences in terms of the type/method of communication they receive. We look forward to the full implementation of this enhanced parent communications system. Mr. Matt Fulton is an OFHS special education teacher. He received his Bachelor’s degree from Ohio’s Miami University and his Masters degree from Cleveland State. 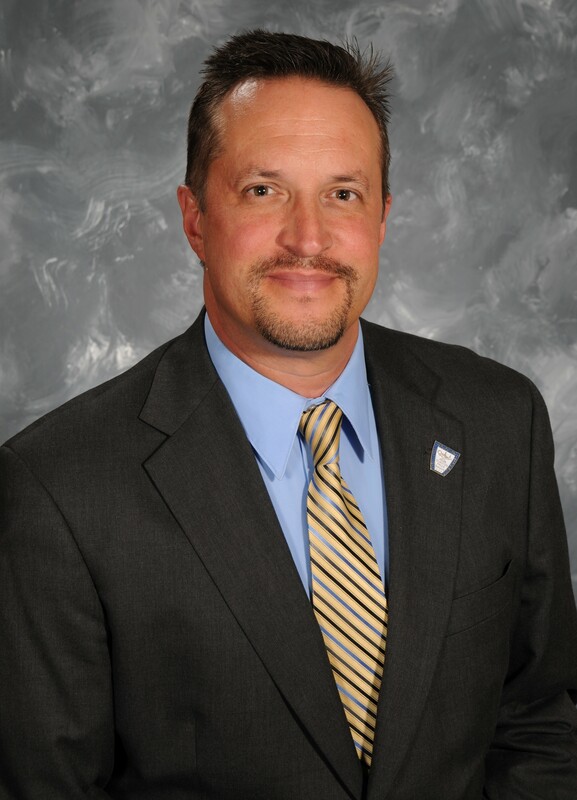 Mr. Fulton also serves as an athletic department event supervisor, varsity girls’ basketball coach and is a member of the faculty cabinet and district technology committee. He loves being a Bulldog because he is able to see his students develop and change right in front of his eyes. 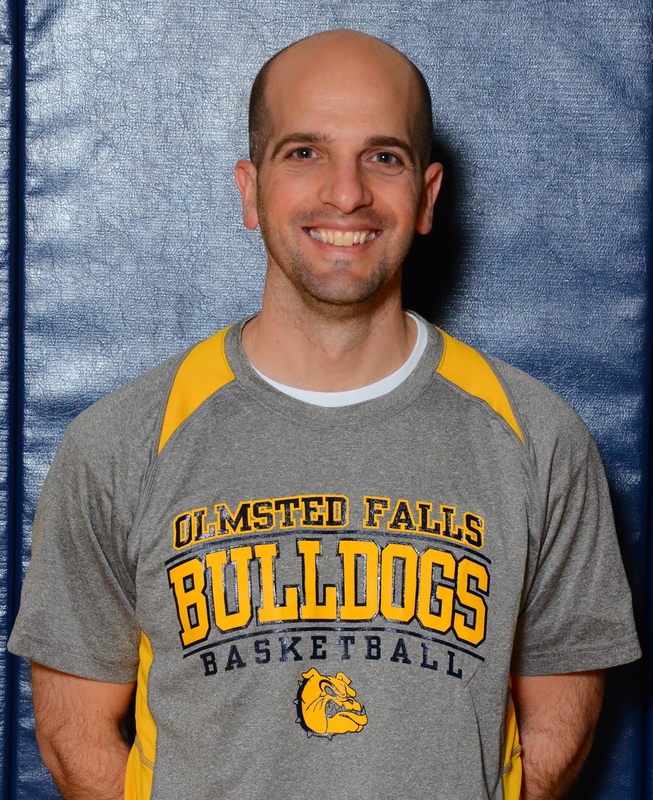 He strongly believes that here in Olmsted Falls, teachers are willing to go above and beyond to help students in any way possible. In his free time, Mr. Fulton enjoys traveling, working out and spending time with his large extended family and his wife, Joanna, an OFMS 6th grade teacher. 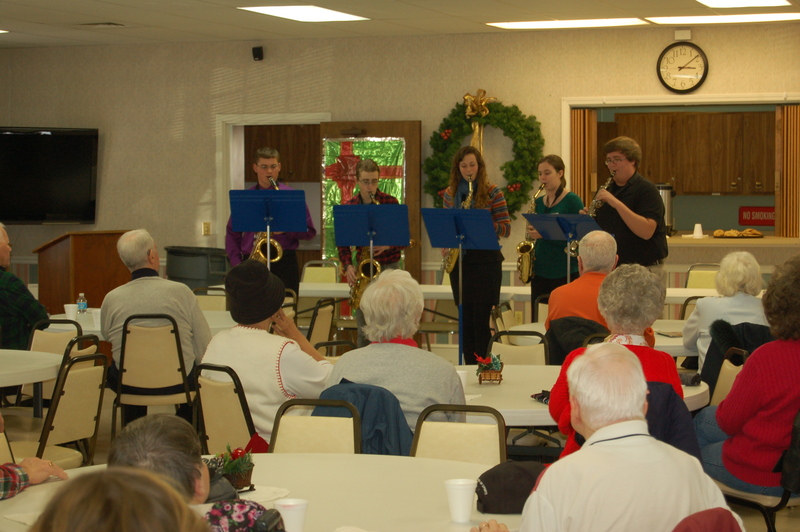 OFMS’s Golden Harmonies attended some community holiday festivities. The students caroled at the Village Green for the Christmas Tree Lighting, at Grand Pacific Junction for a Christmas Open House and at Kemper House. We are also looking forward to singing the National Anthem for the Lake Erie Monsters game on February 8. To view a photo gallery of the events, click HERE. The Parent Activity Library, known as PAL, is a collection of activities, videos, books, games and manipulatives for parents to use with their children at home to strengthen and develop critical skills necessary for learning and development. The PAL collection contains resources for children ages preschool through 3rd grade. Parents are welcome to check out items from PAL, located in the Falls-Lenox Library, during school hours, which are 8:30 a.m. to 3:10 p.m. Take some time to visit PAL and help give your child the added tools he or she needs to succeed! Olmsted Falls School District will host two informational sessions for parents and interested residents regarding the new Common Core standards and how our District is preparing. Mark your calendar to join us on Thursday, January 16, 2014 at Olmsted Falls High School Auditorium (7:00 – 9:00 p.m.) or Thursday, January 23, 2014 at Falls-Lenox Cafeteria (7:00 – 9:00 p.m.). Please watch for additional information to follow after the winter break. Attention ALL Olmsted Falls dancers, singers, musicians, jugglers, bands and magicians – kindergarten through 12th grade!!! Do you think you have talent? The 27th Annual Olmsted Falls Friday Night Talent Show auditions will be held on Saturday, January 18, 2014 from 9 a.m. to noon in the OFHS auditorium. Get your act together and start preparing your audition over the Holiday break. The key is practice!Please watch this weekly blog, look for posted flyers in your school and check your school website for more details. Contact Mrs. Ferrini with questions at 440-427-0894. OFCS Parents and Staff – we need your help! Take a moment and ask yourselves the following questions: Do you know a PTA volunteer or school staff member who has been an outstanding part of your child’s school year so far? Would you like the opportunity to recognize the contributions and special qualities of one of your child’s teachers or a fellow educator? Every year, Ohio PTA presents awards to educators and volunteers/staff who show outstanding and remarkable support of youth. The Outstanding District Educator Award is presented to a certified educator who is a PTA member and is nominated by a fellow staff or parent in the school district. The Helping Hands Award is given to an outstanding volunteer or school district staff member (non-certified educator) who is a PTA member nominated by fellow staff or parents. The local deadline for this year’s nomination is FRIDAY, JANUARY 17TH! Please click HERE to download nomination forms and learn more. The Olmsted Early Childhood PTA has partnered with Five Below in North Olmsted for an ongoing fundraiser during the month of December. Download the invitation flyer by clicking HERE and bring it with you to Five Below. 10% of your purchase will be aid the OECPTA. Stop in between now and December 24th for some holiday shopping and to help raise money for OECPTA! Thanks in advance for your support! Helping Hands, the district’s disability awareness group, will host “Dance 4 Charity,” a fundraising event on February 22, 2014. This 4-hour ‘mini-dance marathon’ will help promote disability awareness. Teams of at least five people must be organized and registered by January 17. Each team will chose a captain and decide to which of the four chosen charities they would like to donate their pledges. The charity options are: Autism Speaks, CTSF, Special Olympics or SWAN USE. Click HERE for the charity descriptions. Please consider joining a team to help raise money for a wonderful charity! Click HERE to see a flyer with all the details. There will be a $6 event fee charged to enter if you are NOT registered on a team by January 17th. Contact Mariel Krakowiak, 440-427-6086 or mkrakowiak@ofcs.net, with questions. Plan to take the family out for lunch or dinner January 27, 2014 at North Olmsted’s Applebee’s in Great Northern Mall. OFHS Post Prom will receive 15% of your check when you dine there from 11 a.m. to 9 p.m. You must present the flyer that may be printed by clicking HERE. The three Nelson sisters have parts in holiday plays at Playhouse Square this season. Cameron Danielle Nelson, an OFMS seventh grader, is Helen in A Christmas Story. Cassidy Josephine Nelson, Falls-Lenox fourth grader, is Sara Crachit/Polly/Want and Carly Marie Nelson is Tiny Tim/Master William in A Christmas Carol at the Great Lakes Theater. They have been practicing and performing since the first week of November. They perform up to nine shows a week while handling school work. Carly is following in the steps of her older sisters who both previously played Tiny Tim. Tickets are still available for both shows, which closes on December 23, by calling the theaters at 216-241-6000 or going to the Great Lakes Theater website by clicking HERE or the Cleveland Playhouse by clicking HERE. Join us for a fun evening of ice skating, swimming, games, prizes and balloon drop at midnight. Purchase advance tickets at the N.O Rec Center for $12 or $15 at the door. Admission includes all activities, snack and beverage. For more info, please call 440-734-8200. Event Co-sponsored by Cleveland Edges Skating Club and N.O. Recreation Department. The Olmsted Falls Lacrosse Association will be holding its Information and Registration Night at the Middle School Cafetorium to kick off its 5th season. We are now 200 strong and developing some of the best players in the North East Ohio area! 2013 was a great year and included the introduction of boys and girls high school teams and the addition of a middle school girls team. We are again offering a 10 week developmental program for K-2nd grade boys and girls. Join us for one hour and learn about the “Fastest Game On Two Feet” — Find out more online at olmstedfallslax.com. To download the informational flyer and registration form, click here. With planning underway for the Olmsted community’s Bicentennial Celebration in 2014, the Olmsted Bicentennial Committee unveiled the official logo this past Monday night during the group’s planning meeting held at the Olmsted Township Town Hall. The official logo of the Olmsted Bicentennial was designed by local student Spencer McCoy, a senior at Olmsted Falls High School and a student of the Polaris Career Center’s Interactive Multimedia Program. Spencer attended the meeting, along with members of his family, where he was publicly recognized by the Committee for his outstanding design of a logo which captures the Olmsted community’s past, present and future. Bicentennial Committee Marketing Chair Mark Hannah presented Spencer with a special plaque and a $100 check, awarded for his winning logo design. Spencer’s design was among several submitted to the Bicentennial’s marketing committee for consideration. The marketing committee reviewed all of the designs, requested a few revisions and selected the design that best represented Olmsted Falls and Olmsted Township. For eight years, Karin Kirtner and her service dog, Baby, have volunteered in the district, first at Falls-Lenox, then moving to ECC for weekly visits. The two were part of the district’s Reading Education Assistance Dogs (R.E.A.D.) program, which Karin brought to the schools. 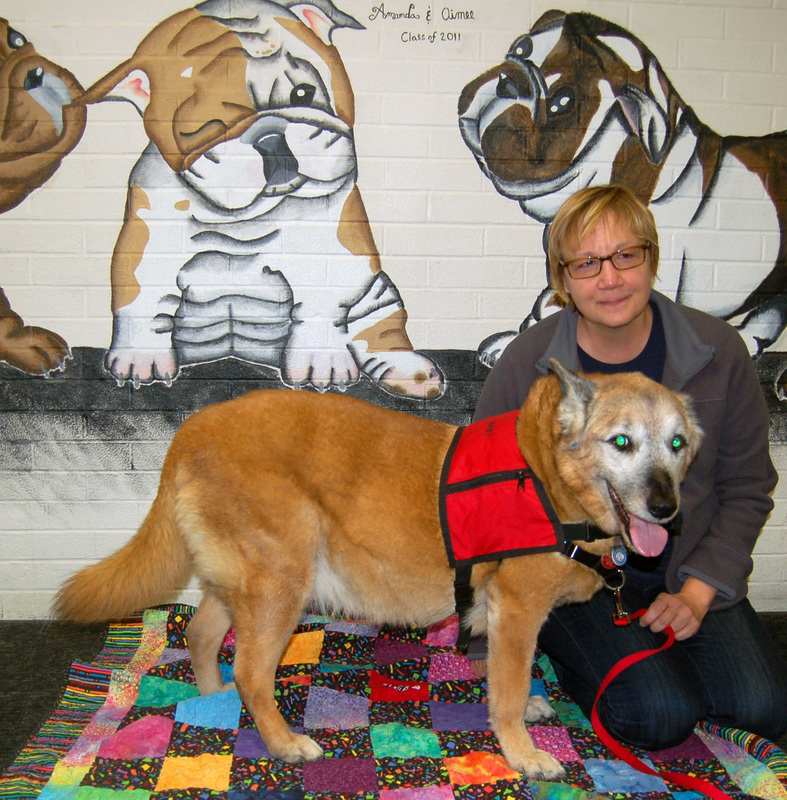 The two were certified with Delta Pet Partners as a therapy team in 2005. Karin and Baby worked with individual special education students as they read for 10-20 minutes. They also worked closely with Franca DeMuth, an intervention specialist. Karin and Baby spent two hours weekly at the schools. DeMuth noted that when seeing the students reading, the two hours a week definitely reflected “quality time.” Students loved reading to Baby and had no reservations. They looked forward to the weekly visits. Karin began the program to the district as a way of “giving back” to the school community in which her daughter, Ellen, graduated and is now attending law school at Case Western Reserve University. 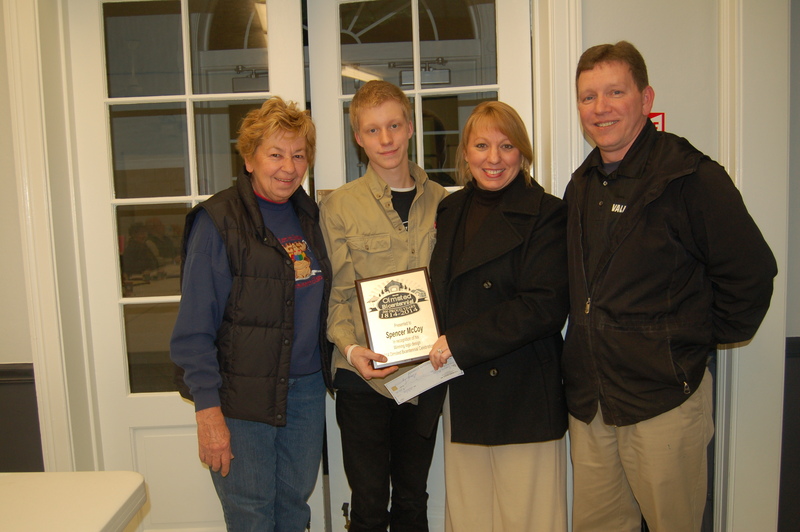 In 2010, Karin and Baby received the Olmsted Falls Friends in Education award. The photo seen here is of their last visit, since they have retired from the program. They received a gift bag as a small token of appreciation. The schools and district thank Karin and Baby for the life-long impact they had on students. A big Bulldog thank you and best wishes in their retirement. We appreciate the time both spent in the district. Olmsted Falls High School held its annual Local Scholarship Sponsor Appreciation Breakfast Friday in the High School Media Center. 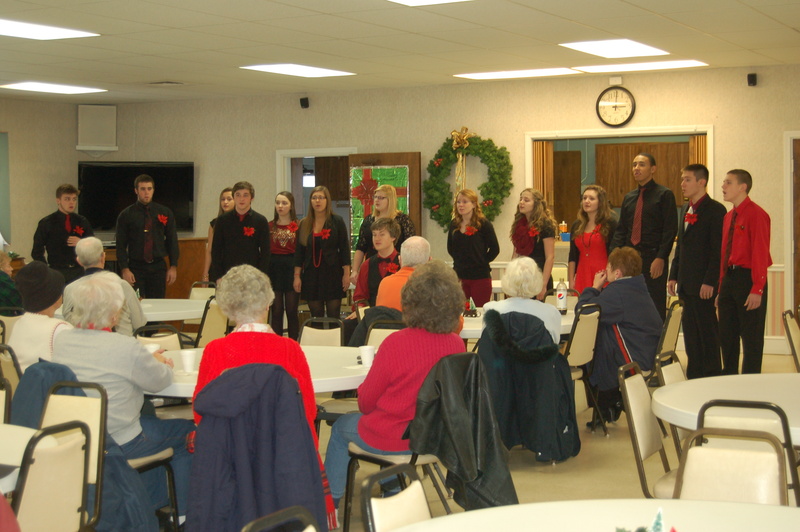 Guests enjoyed a buffet breakfast and a special holiday performance by the High School’s Vocal Jazz Ensemble. 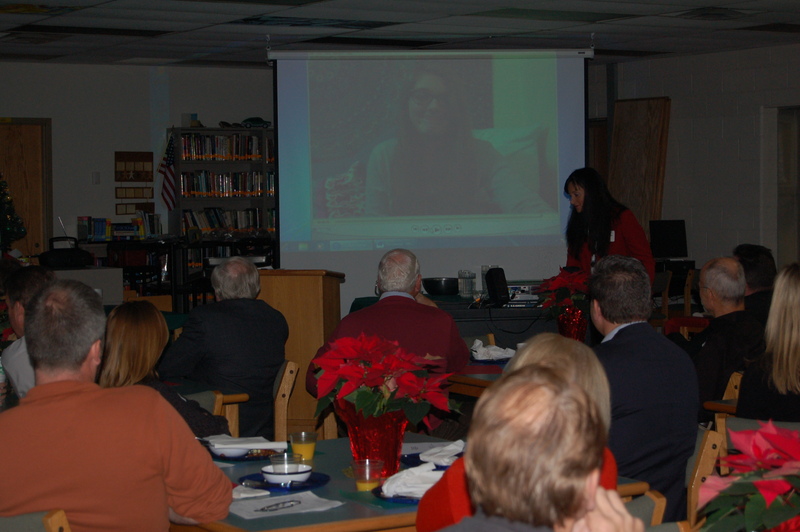 In addition, Bulldog alumnus Kathleen Kopp made a special appearance at this year’s event via a recorded video message to express personal thanks and appreciation to the local scholarship sponsors. Katy is currently attending Ohio University and majoring in Special Education. For more photos from this event, please click HERE. Last year, a total of 77 local sponsors provided nearly $115,375 through 231 scholarships for members of the Class of 2013. Our District extends its continued gratitude to all of these individuals, businesses and organizations for their generous support of our Bulldog graduates! The 2014 Local Scholarship Program is getting underway. For information on sponsoring a scholarship, please contact Mrs. Tommye Laut in the High School Counseling Office at 427-6116. 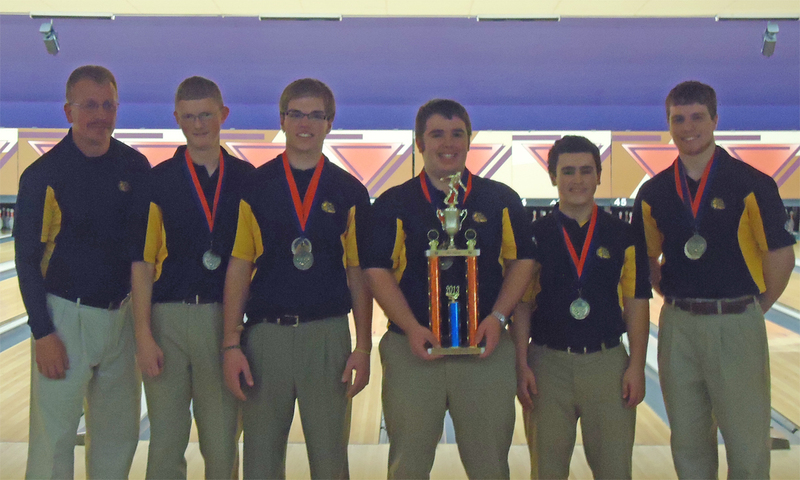 The OFHS Boys Bowling Team recently competed in the Berea-Midpark Titan Tournament. The five-man team started a bit slow, but added speed in the second game. After that, the players never looked back. The team took first place in the tournament, bringing home the win and a trophy for the school. The players’ series included Jake Olszewski, 709; Chad Kuchenmeister, 702; Kyle Alvino, 696, Paul Katz, 655 and Colin Kuchenmeister, 563. Three of the boys were named to the All Tournament Team – Jake Olszewski, Chad Kuchenmeister and Kyle Alvino. A small photo gallery may be viewed by clicking HERE. Congratulations to the team and coaches. Save the dates for the following student holiday concerts in our schools. Make your holiday meal preparation faster and easier, and support our Olmsted Falls High School Swim & Dive Team! The team will receive 15% of every order. SAME PRICE AS IN THE STORE. Product order deadline is Friday, December 13th with a pick update December 23rd at the High School from 5:00 – 7:00 p.m. Delivery for larger corporate orders may be arranged. New this year is the ability to place your order online and still support the Swim & Dive Team. Use the link below to place your order! Or, you can still download a hardcopy of the order form by clicking HERE. Thanks in advance for your support of the OFHS Swim & Dive Team! Happy Holidays! Planning continues with the OFHS Post Prom Committee. It is not too late to get involved. The next meeting is at 7 p.m. Wednesday, December 18th in the high school library. Join the group in planning a fun-filled and safe Post Prom for the seniors. OFIS student David needs your help. 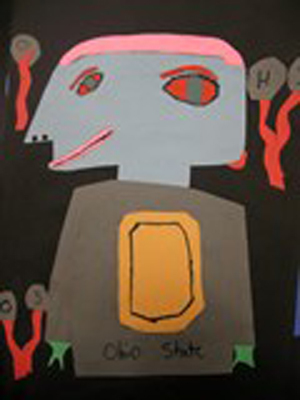 The fifth grader is in the running for “Artist of the Week” on Artsonia, the world’s largest online student art museum. The finalist who receives the most online votes now until THIS Saturday, December 14th, will become the winner. To view the finalists and cast your vote, simply click HERE. David is listed as David4702. You may vote once a day until the deadline. That is his drawing on the left. The “Artist of the Week” will be featured on the Artsonia homepage, receive a commemorative plaque, a gift certificate toward art material and the school will earn some funds, too. Good luck, David. Olmsted Kiwanis hosts the Kiwanis Spaghetti Dinner with Santa on Friday, December 13th from 5:00 – 7:30 p.m. at the OFHS Cafeteria. Dinner includes salad, roll, beverage & dessert. Adults (13 & over) $8; Children (6-12) $6; Seniors (60 & over) $6; Kids 5 & under eat free! Door prizes and crafters! SAVE THE DATE! Christmas is right around the corner! Plan to complete some of your holiday shopping when you attend the OFAB Bulldog Sportswear Sale held in High School Cafeteria on December 14 from 9 a.m – 1 p.m. Tons of great items for mom, dad, kids, grandparents, and friends! In addition to our wide selection of Bulldog clothing, there will be flags, decals, stadium seats, hats, jewelry, travel mugs and more. New this year are camouflage items along with sparkling apparel! OF Cheerleaders will be on hand to wrap your gifts too! 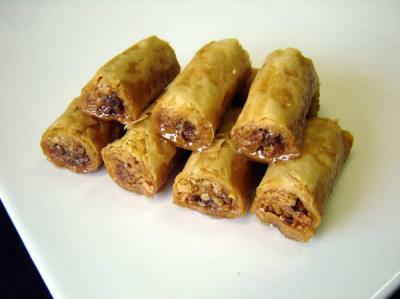 The OFHS Post Prom is selling baklava for your holiday dinners or parties. Orders offer an unbaked 8-by-8-inch pan for $20, which includes about 18 pieces or a 9 –by-13-inch pan for $30 – about 28 pieces. Each pan includes baking instructions and syrup. Payment must accompany the order form, which is HERE. Cash or checks should be payable to ‘OFHS Post Prom. Order deadline is Sunday, December 15th with a 5:30-7 p.m. Monday, December 23th pick-up time at the high school. 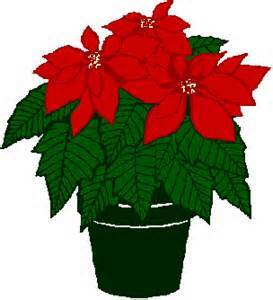 The National Honor Society Poinsettia Sale will run through December 17th. Consider supporting National Honor Society through a poinsettia purchase. Simply complete the attached form and return it to the high school with your preferred method of payment. Funds earned from this sale help support NHS inductions, Chapter scholarships and Relay for Life. Thank you in advance for your support! To download an order form, please click HERE. REMINDER: This year’s Winter Break begins Monday, December 23rd and runs through Friday, January 3rd. 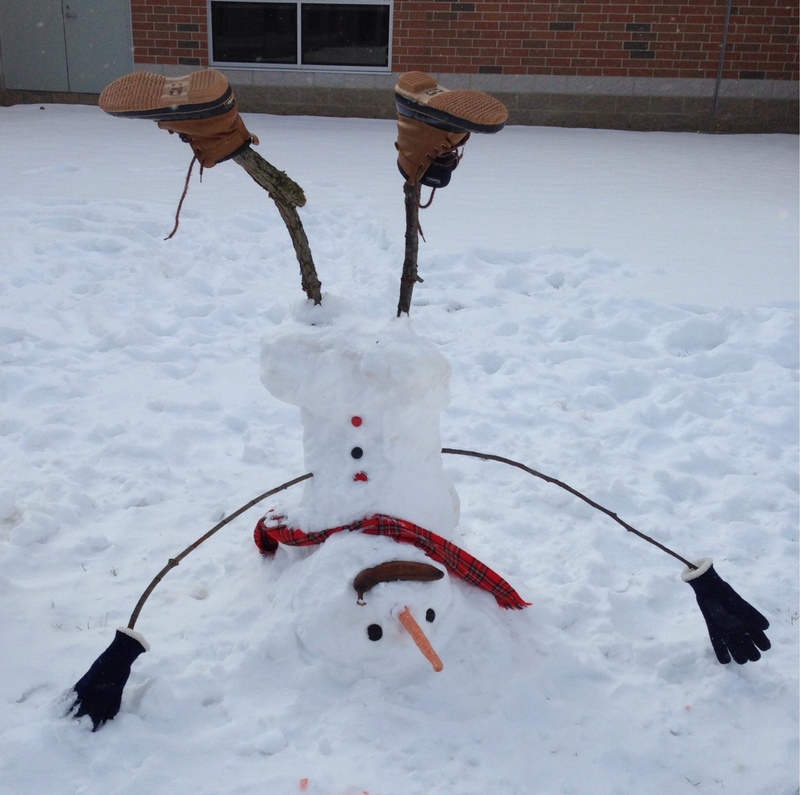 School will resume on Monday, January 6th. Please note that next week’s blog post will be the last one posted before break; there will be no blog updates during the break. The blog will resume the week of January 6th. 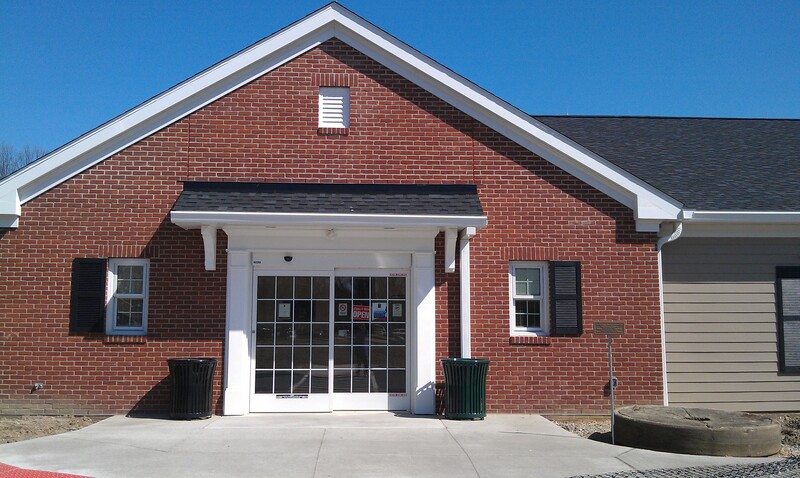 The Olmsted Falls branch of the Cuyahoga County Public Library has many activities and offerings for the community. Some of them require registration. A flyer that lists activities for all ages is available by clicking HERE. The library also released its 2013 Great Books for Kids website, which is available by clicking HERE. Librarians from its many branches selected their choices of the best children’s and teen literature. DECEMBER ACTIVITY NIGHTS AT OCC! Attention: Parents! 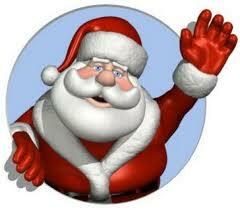 Get your Christmas shopping done while kids enjoy the Fun Nights for Grades 1st-6th. 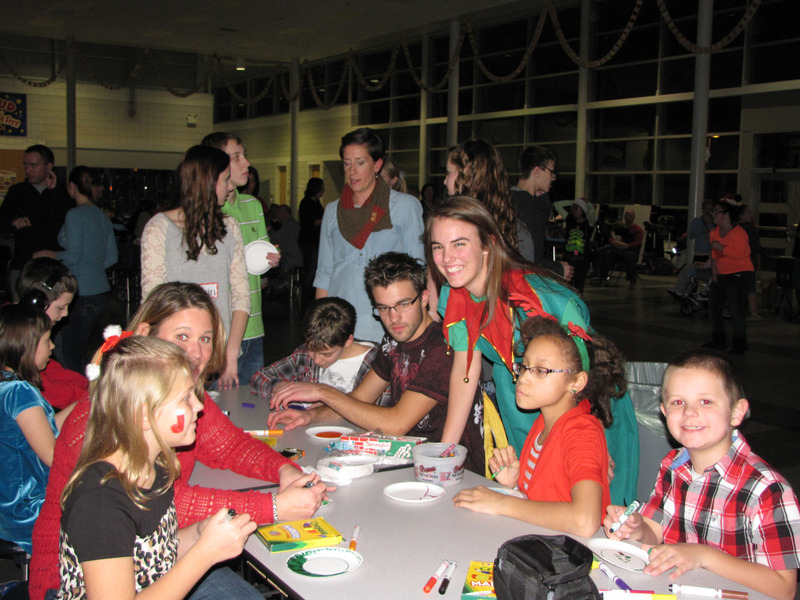 December brings extra fun for kids at the Saturday Activity Night Program at The Olmsted Community! This Saturday — December 14th — from 7-10 p.m. is Holiday Rainbow Loom Bracelet Night. Make them and take them home. The usual activities are available as well. Go to www.olmstedcc.com or click HERE for the center’s website. 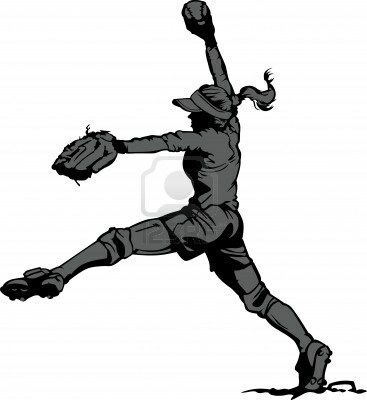 Olmsted Girls Fast Pitch Softball Association will hold open registration for the 2014 season December 12th from 6-8 p.m. and December 14th from 10 a.m. to noon at Falls-Lenox Primary School. Registration is open to girls in grades 2 thru 12 living within the Olmsted Falls School District. Olmsted Girls Fast Pitch is part of the Emerald Necklace Fast Pitch Association and fields teams who play in divisions ranging from U10-to-U18. The season typically consists of games played in late May through early July. Our mission is to promote, develop, and teach fast pitch softball to female athletes in our community. Visit www.olmstedgirlsfastpitch.org for additional information and registration form. Join us for a fun evening of ice skating, swimming, games, prizes and balloon drop at midnight. Purchase advance tickets at the N.O Rec Center for $12 or $15 at the door. Admission includes all activities, snack and beverage. For more info, please call 440-734-8200. Event Co-sponsored by Cleveland Edges Skating Club and N.O. Recreation Department. 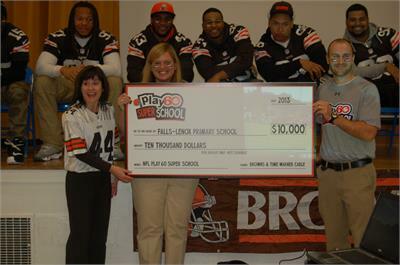 The halls of Falls-Lenox Primary School were filled to the brim with excitement this past Tuesday as nine NFL players from the Cleveland Browns made a special visit to present the school with a $10,000 NFL PLAY 60 grant for health and wellness programming and/or equipment. Falls-Lenox was one of just thirty-four schools across the country to have been selected as NFL PLAY 60 Super School Contest Winners. 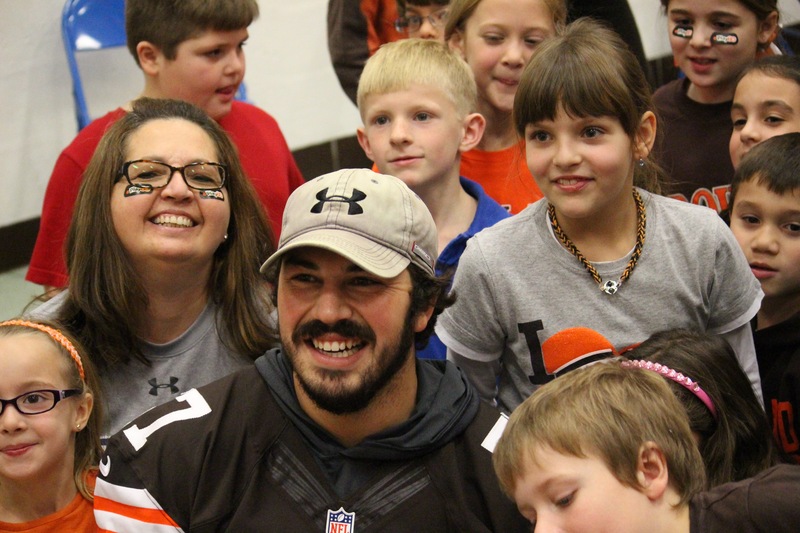 The Super School visit began with the arrival of the Browns players by way of Olmsted Falls School Bus, and included a health and wellness assembly for all students. Participating Browns players included: Billy Cundiff, John Hughes, Alex Mack, Craig Robertson, T.J. Ward, Christian Yount, Jabaal Sheard, Shawn Lauvao, and Davone Bess. Students and staff – clad in brown and orange, of course – welcomed players by lining the hallways with signs, cheers and high-fives. In addition to the assembly, which included an opportunity for students to ask questions of the players, the Browns also led an Ultimate Fitness gym class led by the players! Many thanks to the Cleveland Browns players and support staff, and to the NFL and Time Warner Cable, who sponsored the $10,000 grant. Thanks also to the great efforts of Falls-Lenox P.E. teacher Greg Hoover and Falls-Lenox parent Jodi DiMarco, who spearheaded the effort to enter the NFL Play 60 Contest back in September – with the help of many volunteers, students and staff. (See Sept. 13th blog post.) Their efforts really paid off! Falls-Lenox will use the $10,000 grant to install a new climbing wall in the west gym. To view T.J. Ward’s Instagram post, please click HERE. To view video coverage of this exciting visit on the Brown’s website, please click HERE. To view an extensive EVENT PHOTO GALLERY, please click HERE. 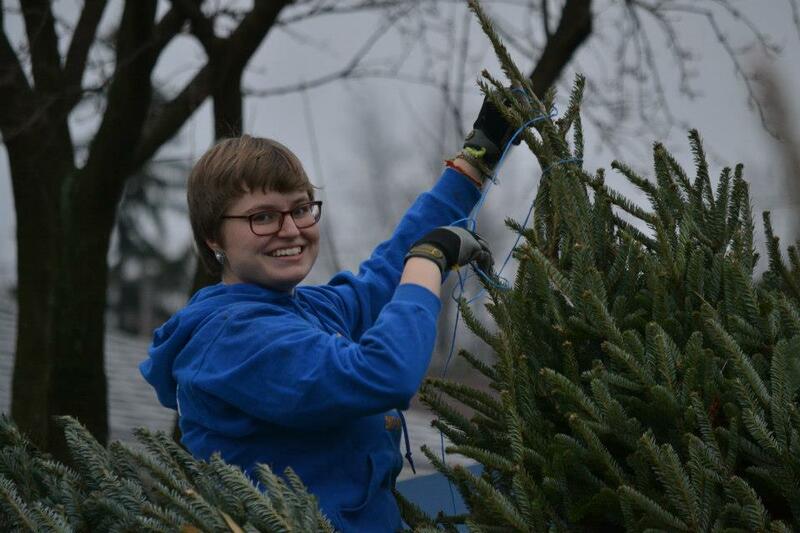 ANNUAL OFMA TREE SALE – THIS WEEKEND AT OFHS! 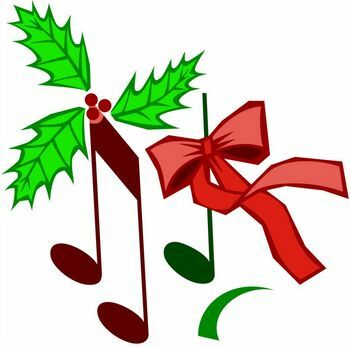 SATURDAY, DEC. 7TH: 10:00 a.m. to 8:00 p.m.; SUNDAY, DEC. 8TH: 12:00 to 4:00 p.m.
Beautiful Fraiser Firs! Up to 8 ft. $45; Over 8 ft. $55. Support Olmsted Falls Music Association with the purchase of your fresh tree TODAY! 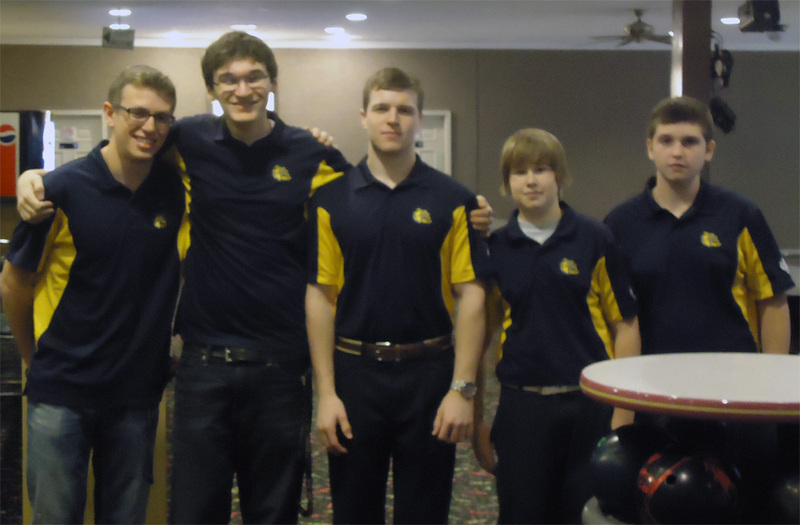 The OFHS Bowling Team for the 2012-2013 season had the highest series game bowled of 1183 for a five-man team of ages 17-20 years of age in the entire United States Bowling Congress (USBC). They received national recognition for that honor. The team consisted of Jake Olszewski, 220; Chris Kuczinski, 246; Nate Paliska, 213; Daniel Becker, 280 and Devin Carver 224. The five-man team was honored with an award this past Saturday at Buckeye Lanes. Congratulations to the boys and their performance! To view a photo of the certificate and team photo, click HERE. On Friday, November 22nd, students and staff at the Early Childhood Center (ECC) welcomed Ohio State Senator Tom Patton for a very special presentation. The American flag outside the Early Childhood Center was recently in need of replacement. As a result of outreach to the Senator’s office by ECC secretary Mrs. Loretta McClelland, Senator Patton took steps to secure for the building a new American flag, as well as a State of Ohio flag. Both of these new flags presented by the Senator have previously flown over the Ohio Statehouse. Senator Patton personally presented the new flags to ECC Director Mrs. Melinda Brunner during a special assembly with kindergarten students and staff. 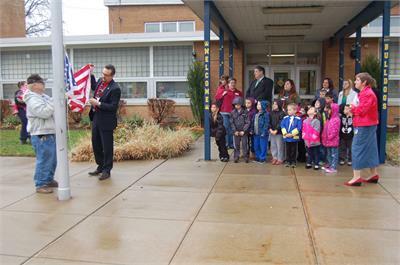 Superintendent Dr. Jim Lloyd also participated in the special event and assisted in raising the new American flag for the first time. Both flags now fly proudly on the flag pole in front of the ECC. Many thanks to Senator Patton and Mrs. McClelland for making this flag donation a reality. And, special thanks to the students and staff of the ECC who made the flag presentation event extra special! To view a photo gallery from the event, please click HERE. 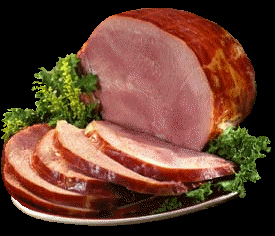 DON’T MISS ANNUAL SWIM & DIVE TEAM’S HONEYBAKED HAM SALE – DEADLINE TO ORDER IS FRIDAY, DEC. 13TH! Make your holiday meal preparation faster and easier, and support our Olmsted Falls High School Swim & Dive Team! The team will receive 15% of every order. SAME PRICE AS IN THE STORE. Product pick up will be on December 23rd at the High School from 5:00 – 7:00 p.m. Delivery for larger corporate orders can be arranged. New this year is the ability to place your order online and still support the Swim & Dive Team. Use the link below to place your order! Sixth-grade students at OFMS are completing a project in which they are aspiring entrepreneurs given the opportunity to start their own restaurant in a Free Market Economy. The project began after John and Jennifer Minkiewicz, owners of Jo Jo’s Italian Restaurant and Pizzeria on Cook Road, talked to the students. 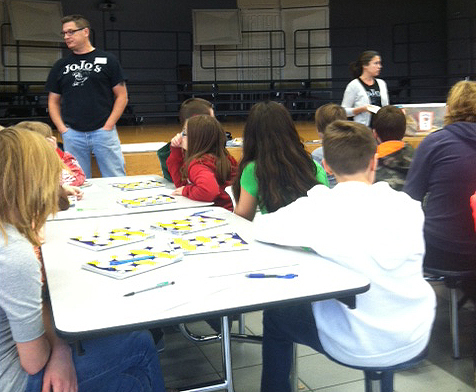 The two entrepreneurs spoke to them about supply and demand, menus, pricing, marketing, deals/specials and staffing. The students will be able to use that information in creating their own projects. To view pictures of the event, click HERE. The Minkiewiczs also invited all the kids under 12 to stop into Jo Jo‘s on Thursday nights to make their own pizzas! OFMS gives a big Bulldog thank you to Mr. and Mrs. Minkiewicz for giving up their entire morning to speak to the sixth-grade students. Any student entering the building within 90 minutes of the first bell will be considered tardy. Any student entering the building after the first 90 minutes of the school day, will be marked with a ½ day AM absence. Any student leaving the building prior to the last 90 minutes of the school day will be marked with a ½ day PM absence. In the case of a doctor’s appointment: If your child has a doctor’s appointment and is out of school for less than two hours, it will not be counted as an absence if a doctor’s note is provided upon their return. If a doctor’s appointment runs longer than two hours, it will be coded as either a ½ day excused absence (with a doctor’s note) or a ½ day unexcused absence (without a doctor’s note). The National Guard Engineering Education Program is partnering with local high schools across the country to teach students about Engineering Design and Failure. 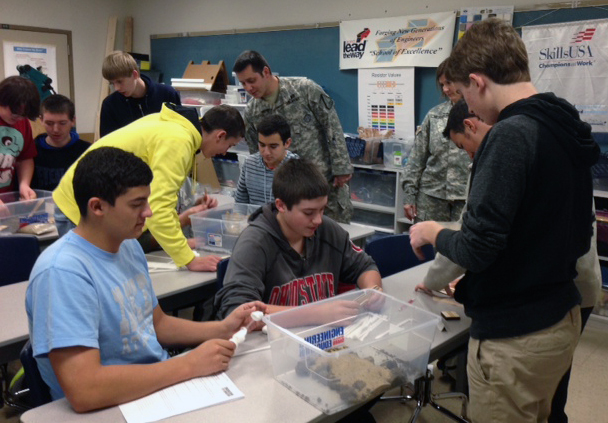 Local National Guard recruiters recently visited OFHS’s Pre Engineering program to help students design and build mock up levees. Students had a good time getting dirty and using a design process to determine the outcome. A special thanks to SFC Sandra J. Mesenburg for her help. A photo gallery of the event is available by clicking HERE. For more information about the National Guard Program, click HERE. Did you know that the District website features a regularly updated message from Superintendent Dr. Jim Lloyd? Please click HERE to read the latest message from Dr. Lloyd. 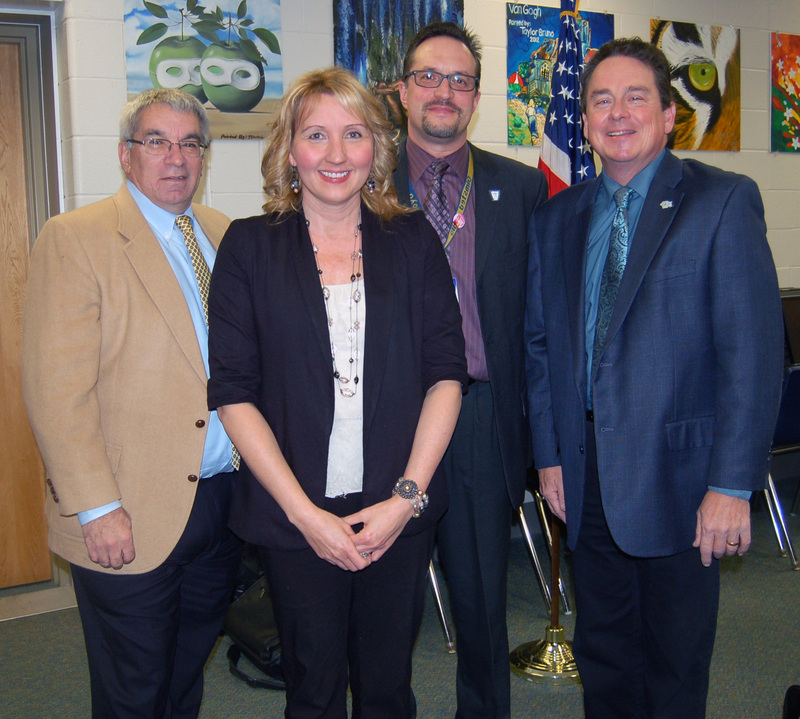 Christine O’Brien, an OFMS math teacher, received accolades at the recent school board meeting. This summer she participated in a STEM – Science, Engineering and Math – Fellowship from the Siemens Foundation and Discovery Education. She was one of 50 educators across the U.S. selected to spend a week in Washington D.C. learning how to integrate innovative STEM techniques into her classroom.This all-expense-paid immersion program creates a group of STEM ambassadors who can take what they learned into their classrooms and become key influencers in their schools and communities. She collaborated with educators from urban and rural areas across middle and high school grade levels in an effort to bring new and innovative digital tools into the classroom that will enhance STEM teaching and learning. To view photos of her STEM experience, click HERE. Christine also was honored for earning her National Board Certification renewal. Congratulations, Christine, for these education-enriching honors. 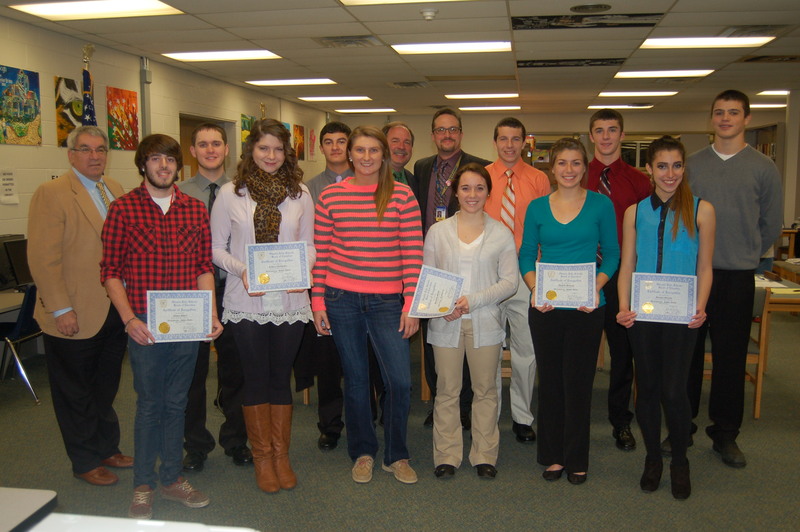 District leaders recognized student athletes from Olmsted Falls High School at the November meeting of the Olmsted Falls Board of Education. Fall athletes who earned Scholar Athlete status (by maintaining a 3.0 GPA or higher) and those selected as 1st Team All SWC Performers were honored with certificates and a reception. First Row, Left to Right: Joshua Musial (Scholar Athlete – Cross Country), Rebecca Nunemaker (Scholar Athlete – Cross Country), Kerri Gaspar (1st Team All SWC – Volleyball), Samantha Smitley (1st Team All SWC – Volleyball), Michelle Bertrand (Scholar Athlete – Tennis), and Rosalyn Miranda (Scholar Athlete – Cheerleading). Not pictured: Ashley Gomez (Scholar Athlete & 1st Team All SWC – Golf), Leah Walchanowicz (Scholar Athlete & 1st Team SWC – Soccer), Lauren Walchanowicz (Scholar Athlete – Soccer), and Katharine Ferster (Scholar Athlete – Volleyball). The Olmsted Falls Alumni Association hosted its annual holiday luncheon for retired bulldog staff members this past Tuesday at OFIS. More than 60 retired bulldogs were in attendance at this popular event, sponsored by the Olmsted Falls Board of Education to recognize the contributions and lasting impact of the District’s retirees.. Retired staff members enjoyed a wonderful hot lunch prepared by the District’s outstanding food services department. Lunch was served by Mr. Jim Ryan’s OWA students from OFHS. Guests were also treated to a selection of song from the Nutcracker by Mrs. Kelly McClellan’s 5th Grade Singers. 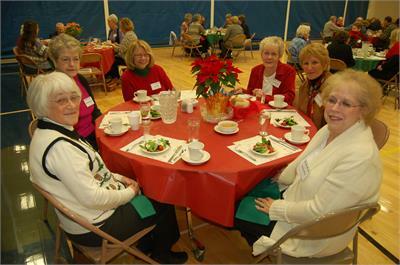 To view photos from the 2013-2014 Retired Staff Holiday Luncheon, please click HERE. The OFHS Junior Class officers have a fundraiser at North Olmsted’s Applebee’s from 11 a.m. to 9 p.m. Monday, December 9th. Applebee’s will donate 15 percent of your check when dining in its restaurant that day during those specific hours when presenting a flyer, which is available by clicking HERE. Enjoy a meal and help the high school’s 11th graders at the same time. Don’t forget to bring your flyer! Don’t forget to pick up your jewelry and Love Bag orders on Tuesday, December 10th from 4-6 p.m. in the OFMS cafeteria. This is a ONE DAY pick-up opportunity only. Thank you so much for participating in our OFMS PTA fundraiser! The OFHS Student Council recently sponsored a blood drive for the American Red Cross. 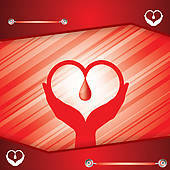 The efforts provided 45 pints of blood needed for patient care. Of the 61 individuals who tried to donate, there were about 25 first time blood donors. For every 50 pints collected, a scholarship fund is set up for the seniors. Thanks for all those who volunteered their time from set up to registration to canteen assistants. A Bulldog thank you goes also to the boys basketball team for removing tables and chairs and giving up some of their practice time in the gym. The next blood drive is scheduled for April 22, 2014. Did you know that the Cuyahoga County Libraries offer FREE homework help in all subject areas for students in grades K-8? The North Olmsted Library has a homework center staffed by trained homework coaches and volunteers from 4:00-5:15 p.m. and 6:00-6:30 p.m. To register your child for homework help, visit the library and for more information, please visit the Cuyahoga Library Website: http://www.cuyahogalibrary.org/Services/Homework-Centers.aspx. The National Honor Society Poinsettia Sale is officially underway and will run through December 17th. Please consider supporting National Honor Society through a poinsettia purchase. Simply complete the attached form and return it to the high school with your preferred method of payment. Funds earned from this sale help support NHS inductions, Chapter scholarships and Relay for Life. Thank you in advance for your support! To download an order form, please click HERE. Children may shop for holiday gifts for family and friends at Santa’s Secret Shop this Saturday, December 7th from 9 a.m. to 1 p.m. at Falls-Lenox Primary School. Cub Scout Pack 102 and its elves will help children select items priced from $1-10. Gift wrapping is included. Olmsted Performing Arts will provide entertainment. Parents may enter a raffle of items including a Vitamix blender and Kindle Fire. All proceeds benefit the pack. 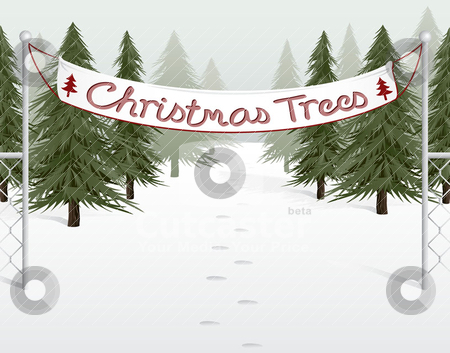 Boy Scout Troop 201 will have its annual Christmas Tree Sale Nov. 30th and Dec. 1st, 7th and 8th at Schuster’s Greenhouse, 9165 Columbia Road. Hours are from 9 a.m. to 5 p.m. Saturdays and 11 a.m. to 5 p.m. Sundays. Please stop by, support Scouting and pick up a Scotch pine, Fraser fir, white pine or other tree. Questions? Call Mike Knaggs at 440-610-8465 or email msknaggs92@sbcglobal.net. Christmas Open House Dec 7th Annual Christmas Open House at the Grand Pacific Junction. Snow Dogs in the Gazebo 11-4 , Sleigh/Wagon Rides 12-2 Stories with Santa and Mrs Claus in the Caboose 1-3, Face painting all day. OFMS Golden Harmonies singing Christmas Carols 12-2. A Dickens Christmas Shop Hop find the Charles Dickens Character in the participating stores and enter drawing for $100 Dec 7th – 19th. DECEMBER ACTIVITY NIGHTS AT OCC! Attention: Parents! Get your Christmas shopping done while kids enjoy our Fun Nights for Grades 1st-6th. December brings extra fun for kids at the Saturday Activity Night Program at The Olmsted Community! Mark your calendars for our December Holiday Fun Nights from 7-10p.m. Visit www.olmstedcc.com or click HERE to download information flyer. THIS SATURDAY, December 7th – inFocus Photo Booth Night and Santa. Dress up as Elves, Reindeers, Santa, Silly Fun for everyone. Christmas craft making, Christmas Bingo, Dodgeball, Candy Cane Limbo and a Special Visit from Santa! NEXT SATURDAY, December 14th – Holiday Rainbow Loom Bracelet Night. We have all the Holiday colors, plus…Christmas charms and bells to add on. Countdown chain making, and everyone receives a candy cane tonight! Bring your little ones to share their holiday gift list and get a free picture with Santa. Enjoy free cookies & cocoa! For each family that brings their children in, $5 will be donated toward local food pantries. THIS SATURDAY, DECEMBER 7TH @ First Federal of Lakewood, North Olmsted Branch (10 a.m. – 1 p.m.); and NEXT Saturday, December 14th at Olmsted Community Church (3-6 p.m.). Please click HERE to download flyer. Olmsted Girls Fast Pitch Softball Association will be holding open registration for the 2014 season. Registration is open to girls in grades 2 thru 12 living within the Olmsted Falls School District. Olmsted Girls Fast Pitch is part of the Emerald Necklace Fast Pitch Association and fields teams who play in divisions ranging from U10-to-U18. Our season typically consists of games played in late May through early July. Our mission is to promote, develop, and teach fast pitch softball to female athletes in our community. Visit www.olmstedgirlsfastpitch.org for additional information and registration form.